Hello everyone, hope all is well! I am so excited to write todays post, i literally can't contain my excitement or words kfnwldkngwnwghrwog. I have been wanting to post this for ages now and was going to wait until i hit a milestone, but i couldn't contain my excitement, i just had to do it now. As i am sure most of you are aware, the NARSissist palette among the blogging community was very popular and i think everyone went a little crazy over it. I actually missed the launch date on the NARS website, because I'm a slacker and somehow missed it. i literally must have been a hermit that day. So after a couple days of relentless searching, i came to terms and just had to buy it from nordstrom.com. I am sure you are all aware that Nordstrom is an American shopping department, similar to House of Fraser. I bought it online and from America, so they turned out a little cheaper, but with packaging, i could have bought an extra one, which is kinda annoying, but i didn't really care. lets just say, i didm't eat for a couple days. I was so surprised at how quickly it got here. I was expecting like a month, but 10 days later it was on my doorstep. well my neighbours as i wasn't in. Lets just taken a minute to observe to beauty of this palette. I mean. Literally there are no words. 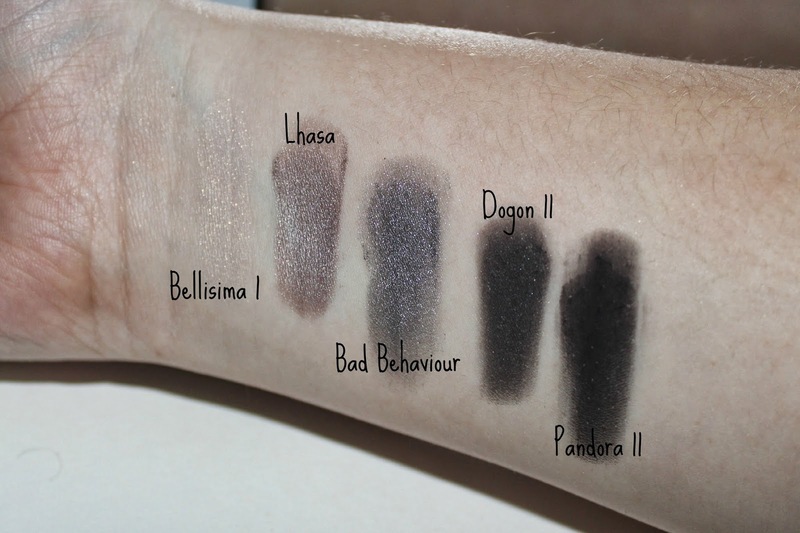 NARS eyeshadows are creamy and super pigmented and just amazing regardless, but they seem to be amazing here. Super creamy, super pigmented, creasing isn't an option, because they aren't going anywhere when they are on. If you watch the video you will see how amazing they apply and work with each other. Extremely easy to blend and every colour works with each other. Like I've said in the video, I'm going to do 3 looks with this palette, so each row will have its own look. I think they is amazing for beginners and everyone in between. There are a perfect mix of browns, nudes, blacks, grey, shimmers, glitters, mattes and everything else in between. These are from the first row and my favourite row. Who wouldn't want to put these all over their eyes. Not me. I explain things better in the video of how to get the perfect look with these colours, but love them all and these are the perfect eyeshadows. 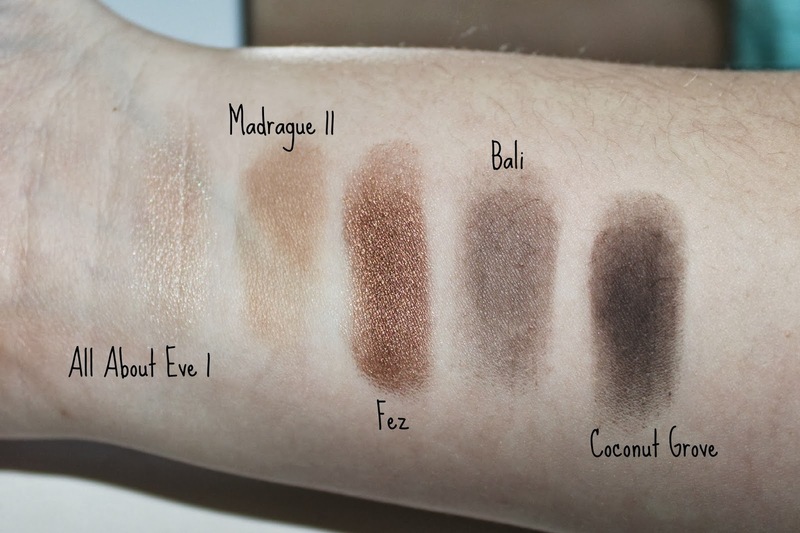 I loved the final outcome of the looks with these shadows and think its something i would wear in the evening or possible daytime, but not as heavy. They are such good shades to mix and match and create a daytime or evening appropriate look. I love me some neutral eyesahdows. Next up, to me, is the everyday row. I felt that the look i created was suited for everyday perfectly. I wanted to create 3 looks which would in-corporate daytime, evening and then a miss mash of both and to me this has daytime written all over it. Again you can mix and match the colours to suit your needs and of course the look you are going for. I am really looking forward to using this row and mixing them with others in the palette for the perfect day time look. The last melon row . I would be lying if i didnt say that this row doesn't scare me. I love the look of black smokey eyes, but i always look like I've been punched when i try one out. The look i originally was going for in this look didnt turn out so i just put the black all over my lids. It turned out okay, but still has that 'punched but not bruised yet' look i think. I wish i could master a black smokey eye, but for know i think i will stick with my browns. However, if your a pro, unlike myself, then this row is the row for you i think. It think its got the perfect and classic smokey eye colours. I will try my best to master this one, but it may be a while and a lot of black punched looks before it becomes anywhere close to perfect or remotely good. It is only UK based i am afraid, but i will do an international one on my next giveaway i promise! I hope you have had a lovely weekend, where i live the weather has been glorious and i spent most of it in bed. What a waste. I absolutely loved this post, great photos and video link. Really informative and Nars is one of my favourite make-up brands so thankyou for a great read! This palette is absolutely gorgeous. 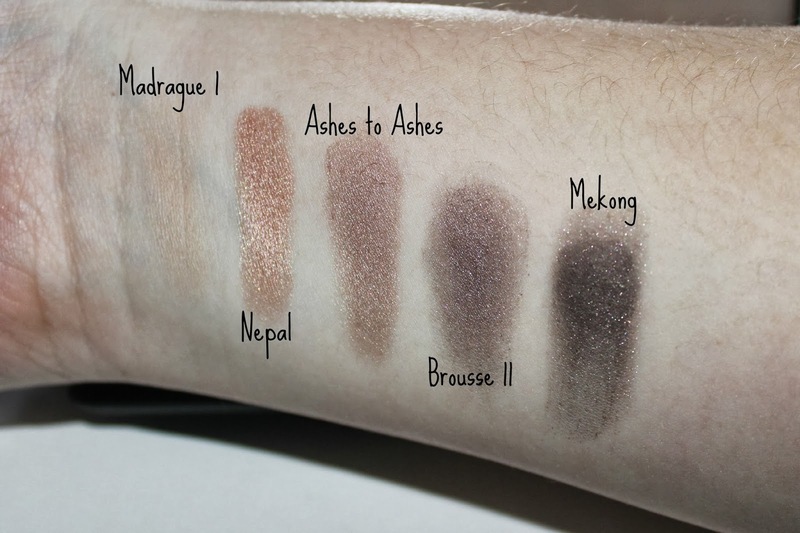 I love your swatches - they look beautiful. Great giveaway! I just stumbled across your blog for the first time and it's great.